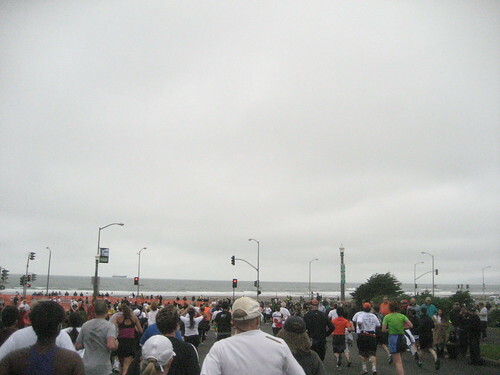 Seeing as how they were held a week apart this year, I assumed that the Bay to Breakers race in San Francisco was similar to the Vancouver Sun Run. Was I ever wrong! 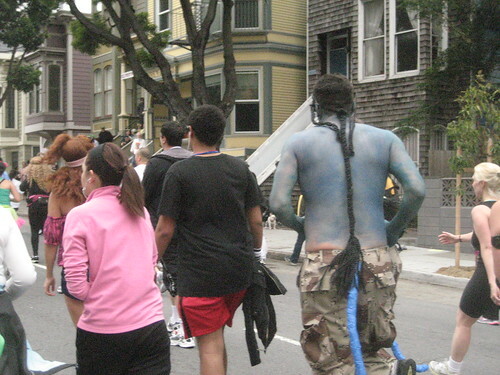 Bay to Breakers is certainly not for the prude, the agoraphobic, or anyone who has ever despised hill training. I decided to register for this race after I realized that I would be in San Francisco that weekend. I had a very basic idea of the race in general, but I decided I was going to run this one semi-seriously: not worry too much about time, and soak in the atmosphere. Bringing a camera certainly tipped the scale in that direction! There is certainly a party atmosphere even before heading to the starting corrals; don’t tell me there’s another race where tortillas and beach balls are being tossed around the crowd. The party continues after the start line, and indeed, throughout the race. What makes Bay to Breakers so fun is that everyone gets involved: costumed (or not) participants, whether registered or not (I did notice a few shoes without the orange timing strip); houses and apartments all along the route cheering or providing music (from iPods hooked up to simple speakers to elaborate DJ setups); even a few doomsday-is-nigh preachers. 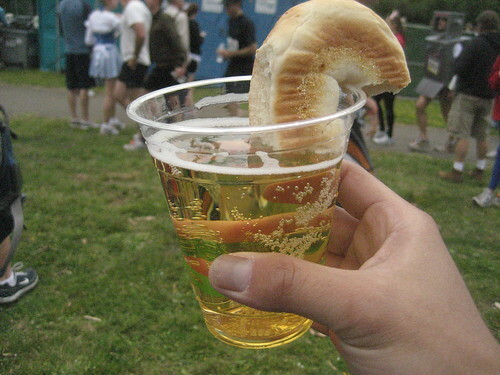 Some motivation for the post-race brunch! 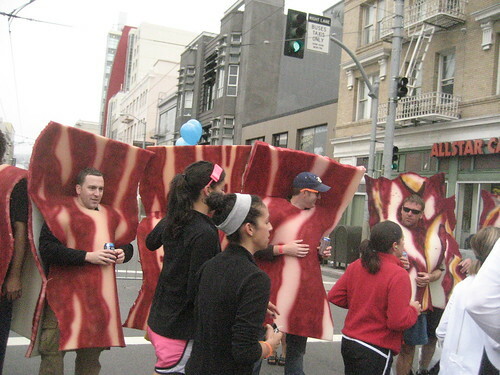 I would definitely come back to Bay to Breakers; next year will be the 100th running, so it should be even more awesome than this year. Anyone else want to join in? PS. 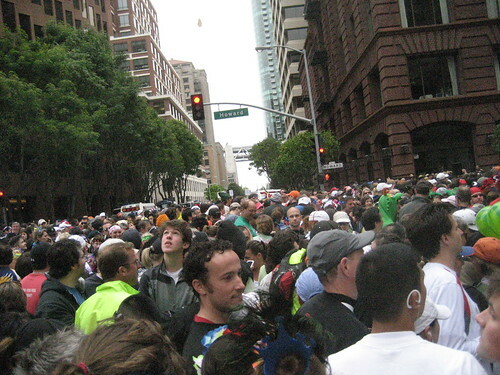 More photos from me on my flickr, and tons more by others tagged “Bay to Breakers” (heads up – some of them may be NSFW). Looks more like a parade than a road race! Looks way fun!